You have noticed, dear girls and guys too that the modern male half of humanity likes girls not just with sports figure, namely with beefy and magnificent bottom? The same tendency is around the world traced! Hello, friends. I would like to tell you about what is Zerkher’s squats as to do them and that for this purpose is necessary today. “Than, actually, these squats it is better than the others?” — you for certain ask. And it is better they for those that allow to achieve similar results at squat with bar on shoulders, but along with it without the burdening weight pressure upon backbone. More detailed it is slightly below. 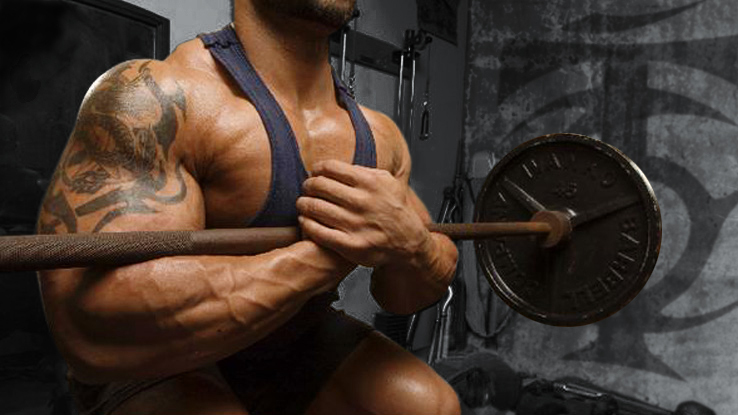 You sometime squatted with bar on shoulders? Felt the inconveniences accompanying these squats? And so they can be avoided, having replaced with others, the truth. At once the picture from the old movie “Major Paine” where after the major’s question “you want to forget about the scelalgia has emerged?”, it breaks finger to the guy. The guy is already concentrated on hand pain, and the leg does not hurt any more. Joke, of course, but sense same – replacement of one inconveniences with others, but more acceptable. 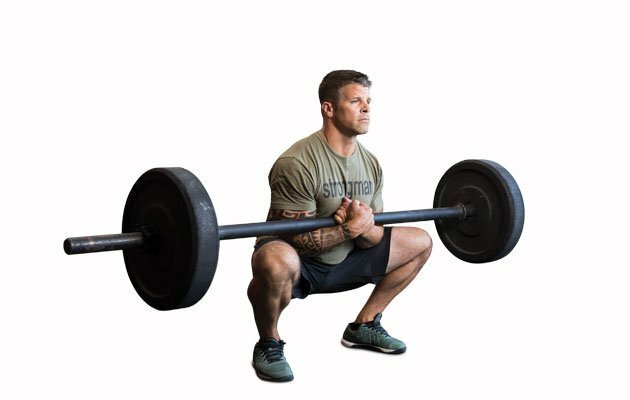 These squats can be useful to those who have obvious problems with backbone like pinching of nerve, hernia and other problems, but persons interested to squat with additional weight for finding of worthy figure. Also quite often by Zerkher’s method people who are confused by some discomfort squat: pressure upon shoulders and shovels of bar with which it is necessary to enclose towel, rubbing of bar at numerous repetitions and the subsequent pain or burning of skin. No, I do not claim that squats with bar inconvenient or, upas My God, inefficient exercise. On the contrary. I only want to show different ways of acquisition of sports constitution. All these unpleasant moments force people to look for the new exercises excluding similar inconveniences. And such exercises are. One of them – Zerkher’s squat. 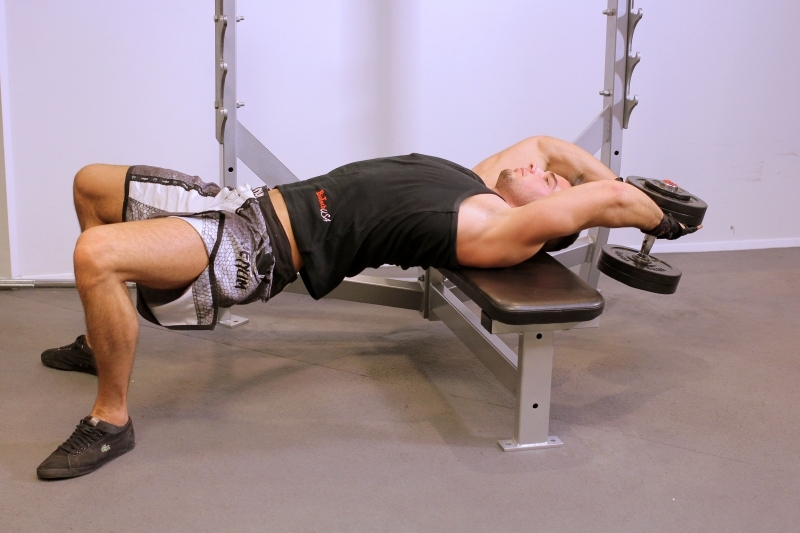 Yes, it is possible to resort to leg press in a hack machine, but you should take into account that the lumbar extensors and abdominal muscles (the lower section of the straight and the lower part of the oblique muscles) do not work practically with the leg press. Also this type of squats seldom, but is used by weight-lifters, powerlifters and body builders for a change of the program and stimulation of muscles. All new is stress for muscles, and the stress is growth. For a start I will note that when performing leg (the direction of feet, width of statement of legs) are in the same situation, as well as at squats with bar on shoulders: if you squat in classical manner (feet look directly, legs shoulder width apart), then take the same position also in these squats, well and if you love non-standard stands (feet look forward and in the parties, and width of statement of leg can be different), then, naturally, choose this stand. Well, take the same, as usually. The bar costs on the corresponding stands, but not at the level of shoulders, and it is slightly lower than the level of breast for convenience of removal of bar. Approach it and take middle part of bar elbows, having crossed at the same time forearms or brushes (depends on length of hands). You can tear off bar from stands. But I will tell at once that there is also the second way of deduction of bar – on forward parts of shoulders. For this purpose you need to sit down a little under signature stamp, having put it on forward parts of shoulders. Elbows at the same time look forward, forearms at the level of shoulders and are crossed among themselves, and palms hold bicepses. Now just straighten your legs. But keep in mind: with the second method, the rod control is slightly worse. And you have already chosen the way to hold the bar? If you think that this description of the starting position has ended, then you are mistaken. After you have taken the bar of the bar in a certain way, move away from the posts by 20 – 30 cm. This distance should be enough for comfortable sit-ups. Next, set your feet in the way that you described at the beginning of this section. Now the starting position has become complete. Movement down. Holding burdening, gradually bend hip and knee joints until you reach parallel – situation at which your hips will be approximately parallel to floor. As the weight cent during lowering will be displaced a little forward, be ready that your body will bend forward. Just adapt to it, putting aside bottom back and holding back of straight line or a little bent (consider, not bent, and bent). Important point is smooth lowering and rise. If you decide to fall quickly, then the stronger you will sit down, the more will press down you weighting compound weight. If you want to get up quickly, then at full knee stretching the bar at you will jump literally on shoulders or hands (depends on grip), reducing your control over it. Movement up. This movement is the complete antithesis to the previous movement, that is down. Your task to do everything with accuracy “to on the contrary”: smoothly begin to unbend all bent joints, straightening postural pose and giving bottom. Statement of apparatus on stands. Now you just needed to approach stands and to lower on them bar. But do not do it, bending forward, burdening can move you, and you will fall. Just adjust bar to stands and bend knees, having lowered it. See also: How to properly perform a goblet exercise squats? I will answer in two words: desire and the bar. Although no, three: racks. The equipment can be found in any normal gym, and the desire for viewing motivating clips or with obvious progress in the results. A clear drawback of such squats is the inability of athletes to maintain maximum weights. But you are not aimed at this, am I right? Therefore, you should like sit-ups of Zerekher. And I have everything for today. What do you think about this? Leave comments. And also talk about this article to your friends through social networks. If you are not yet with us, then I invite you, dear guests, to subscribe to the blog updates. I wish you to be always in shape and look 110%. Next PostHow to properly perform a goblet exercise squats?